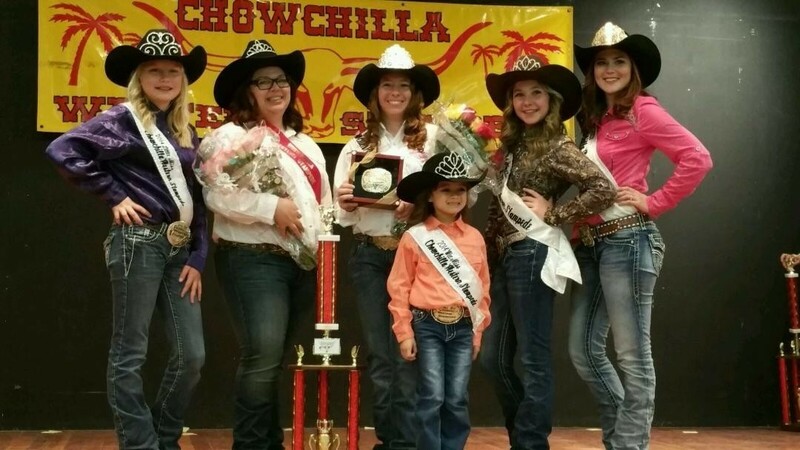 We congratulate Kylie Bowe on being crowned the new Chowchilla Western Stampede Queen. 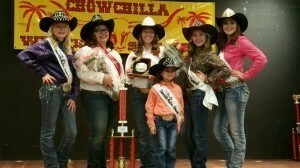 Kylie was crowned Chowchilla Western Stampede Queen last week. She is now part of the Chowchilla Stampede Royalty for the 2015-2016 year. 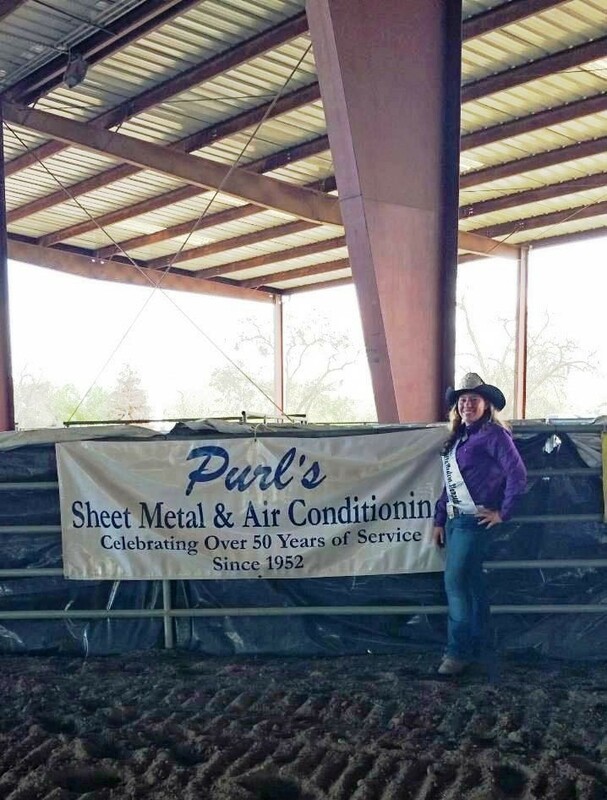 Kylie earned her title by competing in a contest based on sales of event sponsorships and raffle tickets for the Annual Chowchilla Western Stampede. Stampede Royalty and their court will represent the Stampede Committee over the next year at many events, including other local rodeos and community events. The Famous Cattle Drive down Robertson Blvd in Chowchilla began in March of 1958. Cowboys and Cowgirls drive cattle down the main street in Chowchilla as the official opening of the 3 days of old time rodeo action. Events include barrel racing, team roping, calf roping and much more. This 58 year tradition is part of Chowchilla’s history and serves as the official opening of the Chowchilla Western Stampede. 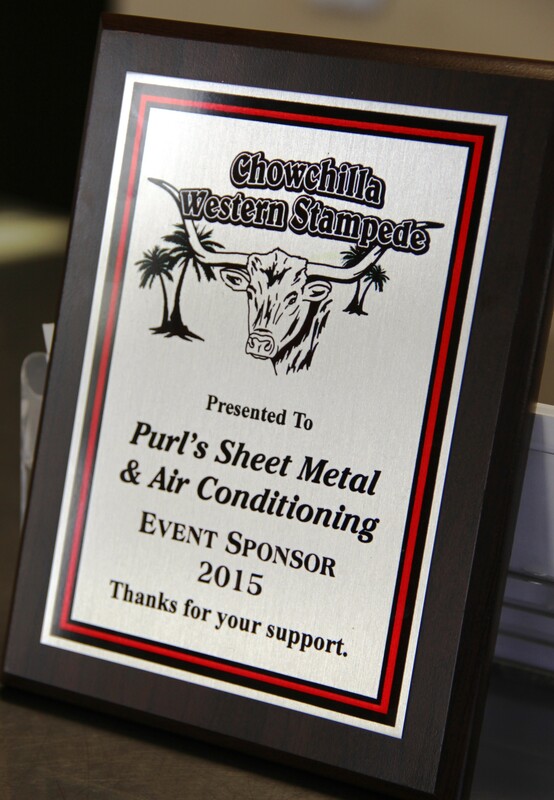 The Chowchilla Western Stampede is held each year at the Madera County Fair Grounds in Chowchilla. The annual event attracts top roping contestants and visitors of all ages. 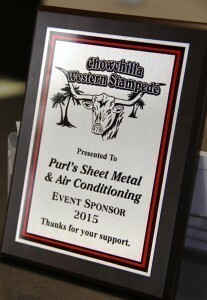 Purl’s Sheet Metal & Air Conditioning is proud to be a sponsor this historic event. 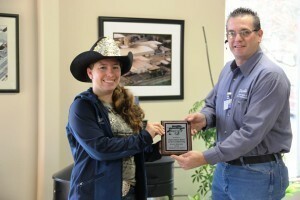 We congratulate Kylie on her community accomplishment as the new Stampede Queen. It is easy to forget about the ductwork attached to your forced-air comfort systems (furnace, heat pump, package unit, central air conditioner) since most of it remains hidden from sight behind the walls and in the ceilings of your house. However, this ductwork needs to receive routine maintenance service from professionals to keep it clean and free from the dust and debris that will naturally start to accumulate inside it. Duct cleaners will use special equipment and techniques to do a thorough job. How often you need to have this service done depends on your home. Call Purl’s Sheet Metal & Air Conditioning and our Fresno, CA duct cleaning experts will help you arrange a schedule to keep your ductwork in excellent shape. There are a number of important reasons to keep the ductwork in your home as clean as possible. First, ducts that become clogged with excessive amounts of dust, lint, and other debris will create a drop in energy efficiency for the HVAC system. Even a thin layer of dust will place resistance against the airflow through the ducts. As more dust and dirt accumulates, your forced-air systems will need to work harder, creating a rise in your heating and cooling bills. If you have detected an increase in costs to run your HVAC system, it’s often a sign that you are overdue for duct cleaning services. Second, dirty ductwork can cause damage to your forced-air heater and central air conditioner. If debris enters the cabinet of a furnace, heat pump, or AC, it can cause problems with motors, electrical connections, evaporator coils, and more. This will lead to repairs and possibly a shortened life for the system. Third, when the ducts have too much contamination in them, it will result in a decline in your indoor air quality. When you consider that the average 6-room family home can circulate 40 lbs. of dust through the HVAC system every year, you’ll understand why cleaning the ducts will do so much for helping reduce indoor air pollution. It’s especially important to keep the ductwork clean if you have people living in your home who suffer from asthma or allergies. At Purl’s Sheet Metal & Air Conditioning, we offer professional duct cleaning for Fresno, CA and the surrounding areas. Our technicians are NATE-certified and EPA-certified, so you will know that you are receiving the highest quality work. 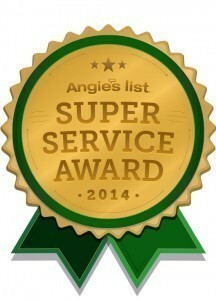 Give us a call today to schedule service. What is one of the key steps you need to take whenever your transfer a load of wash from the washing machine to the dryer? You must check the lint catcher in the dryer to make sure that it is cleaned out. Unless the lint catcher is clean, the dryer will have a harder time removing heat from the clothing load, resulting in damp clothes at the end of the drying cycle. However, issues from lint go deeper than the lint catcher. The vent to the outside of your home that exhausts the heat from the dryer will start to collect lint over time, and eventually the hose from the dryer and the vent will become congested with clothing fibers. It is important that you have routine dryer vent cleaning to remove these obstructions, as we will explain below. You can call Purl’s Sheet Metal & Air Conditioning for excellent dryer vent cleaning in Fresno, CA. We will be glad to perform this crucial service for you. The main reason you need to schedule regular dryer vent cleaning is to prevent the danger from fires. Clothing lint is highly flammable, which is why hikers often carry it to use as a catalyst for starting campfires. If too much lint collects inside the dryer vent, it can ignite due to the high temperatures of the exhaust, starting a fire that will spread rapidly. A large number of house fires begin this way every year, but with routine vent cleaning you can keep your home safe. If you keep the lint catcher clean, but it still seems that you have to keep the clothing in the dryer for longer periods to properly dry them, you probably have a clogged dryer vent. You will continue to encounter problems with lengthy drying times until you have the vent professionally cleaned. A congested dryer vent will make a dryer work harder. This will both increase your energy bills and also shorten the dryer’s service life. To make sure that you receive many years of quality and energy-efficient performance from your dryer, arrange for regular dryer vent cleaning. The trained technicians at Purl’s Sheet Metal & Air Conditioning can clean your dryer vent quickly using powered vacuums and air cleaners. You can set up a regular cleaning schedule with us to ensure that the work always gets done when necessary. Call us today to arrange for dryer vent cleaning in Fresno, CA and the surrounding areas.